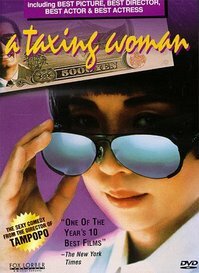 Ryoko Itakura is a government tax agent who has just landed a big promotion. Her first assignment is to catch wheeler-dealer Hideki Gondo. She has a tough job, since in Japan tax evasion is an art and Gondo is, in effect, Rembrandt. Her job is complicated by a growing sympathy for the rogue and by political pressure to lay off. Directed by Juzo Itami and stars his wife & regular leading lady, Nobuko Miyamoto.